When this tool runs in ArcMap, the Output Feature Class is automatically added to the table of contents with default rendering applied to the Gi_Bin field. The hot to cold rendering applied is defined by a layer file in <ArcGIS>/ArcToolbox/Templates/Layers. You can reapply the default rendering, if needed, by importing the template layer symbology. Is the Conceptualization of Spatial Relationships you selected appropriate? For this tool, the Fixed distance band method is recommended. 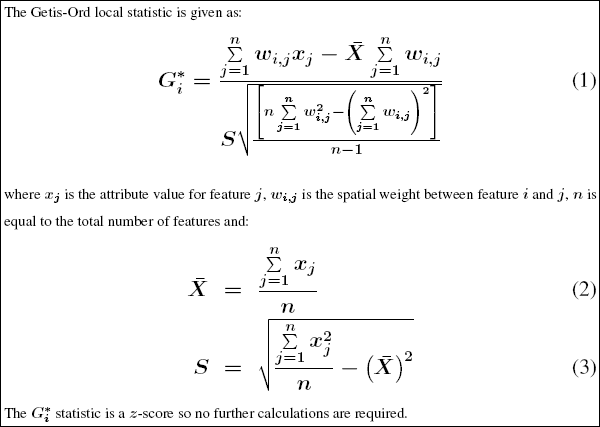 For this tool, the FIXED_DISTANCE_BAND method is recommended. 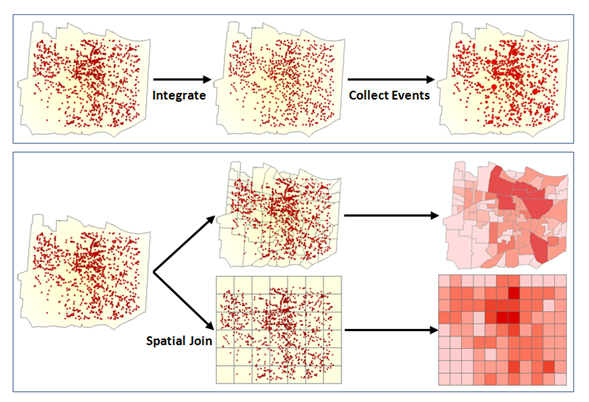 For space-time hot spot analysis, see Selecting a Conceptualization of Spatial Relationships. Especially if the values for the Input Field are skewed, you want features to have about eight neighbors each.